Brody Rollins is back in Tucker’s Point, Maine, for the first time in five years, but he’s not staying long. His plan is to go in, meet his new baby nephew, and get out. Then a winter storm takes a turn for the worse, and Brody can’t escape…from former neighbors, old regrets or painful glimpses of his ex-fiancée. 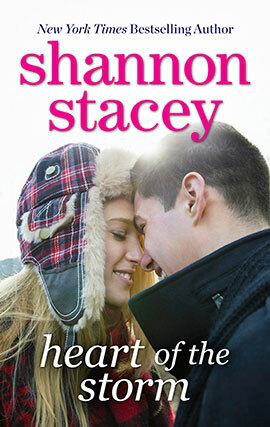 When Delaney Westcott runs into Brody at the town’s emergency shelter, she’s shaken. She wants nothing to do with the man who left her—and Tucker’s Point—without so much as a goodbye. Being cooped up with him in a high school gym is stirring up more than just bad memories, though, and soon Delaney finds herself confiding in Brody. But will he have any reason to stay once the blizzard ends? Note: This story has previously been published in Snow Day.